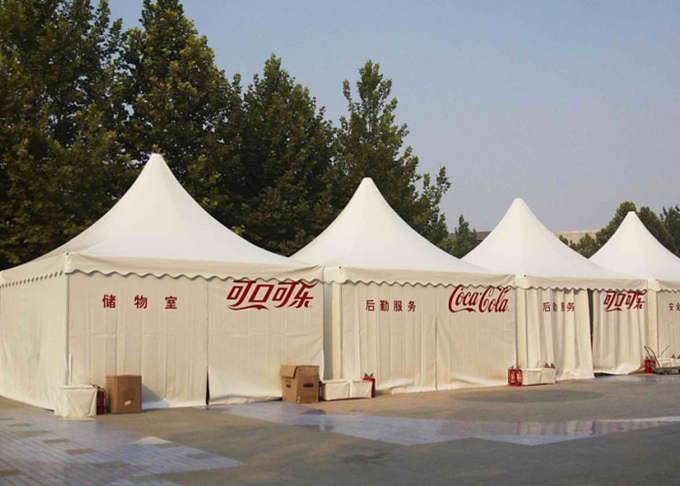 Pagoda tent can create an ideal solution for outdoor events for its flexibility on size. It can be used single or joined together into big tent to enlarge the space but with elegant appearance. This 5x5m pagoda is the best selling in all pagodas. It’s with aluminum structure, white pvc roof and walls with windows on the walls. 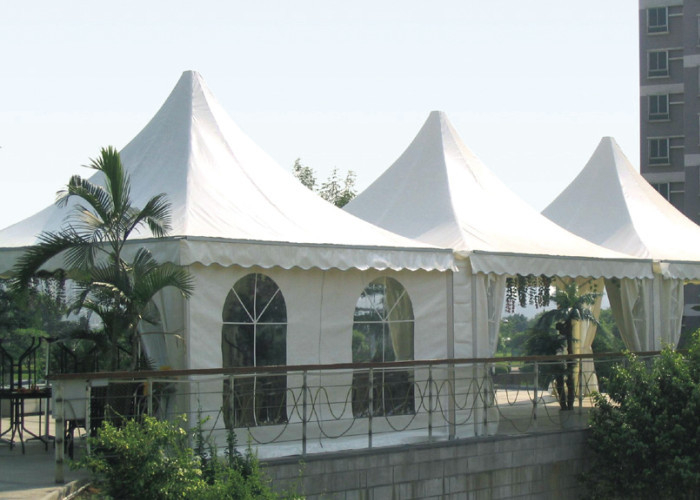 Usually it can be used in the front of big marquee tent as reception room or connect several tents together to form a group. The roof cover and side wall cover are high quality double PVC-coated polyester textile, 100% waterproof, flame retardant to DIN4102 B1, M2, CFM, UV resistant, tear resistant, self-cleaning ability, etc. The roof cover can be replaced by clear pvc. The side cover can be replaced by glass walls, clear pvc.